Massive quality ! Of course we had to bring a skunk variety into our strain-list. From all the Skunk-varieties that are on the market right now, we selected a fast producer of enormous buds with a strong skunk aroma and a heavy buzz. 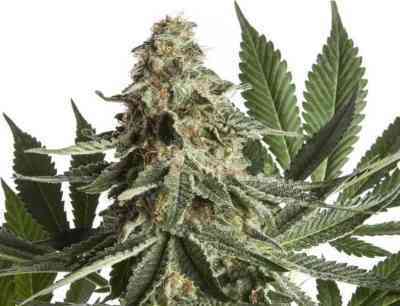 Skunk special is quite a stable strain with a little variety between the individuals. 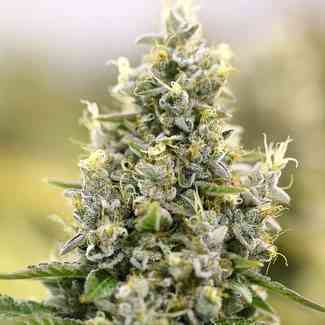 This strain is developed in Dutch greenhouses and selected on flower production. So, this is one of worlds best flowerproducers under natural light. Producing indoor quality outdoors in temperate climates (where citrus/grapes grow). Making it suitable for indoors and outdoors. It all started in '83 or '84 when Sam The Skunk Man himself was in Holland to do a Skunk project for in dutch greenhouses. The best one was selected out of around 10,000 (!) plants in this project and was cloned in selective circles within Rotterdam, Holland. It was actually only used by greenhouse growers in Rotterdam and surroundings and was nicknamed 'het Sammetje'. (a Sammy) Then in 1990 it arrived in Amsterdam and the A'dam scene had a go with it, continueing on through the whole of Holland. The genetic make up is mostly a Mexican Columbian Sativa with that Skunk piss smell you are talking about. I guess this could be called the old school skunk. We selected this one, as we found it the best performer out of all the Skunk varieties available. This latest batch of seeds is from the same origin only after a few generations of selecting the best plants we've come to an earlier maturing, more stable (more equal, uniform) batch. It also needs to be noted that this strain is really perfect for outdoors as it does really well in temperate climates.